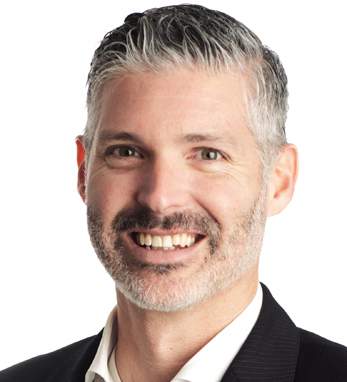 Dan Kennedy serves as Vice President and General Manager at Corvil, where he leads sales, client engagement, sales engineering, and all operations for the Americas. Headquartered in Dublin, Ireland, Corvil is a network data analytics company which serves the world’s largest global banks, exchanges, and other financial services clients. Prior to Corvil, he built and led the Major Client Program at Silicon Valley tech company, Riverbed. Dan started his career at AT&T, having earned a B.A. in Communication Studies and an M.B.A. from West Chester University. He is a third-generation Irish American whose family immigrated from counties Cork and Donegal, and says he owes much of his success to heeding his grandfather’s advice that you can gain an education just by listening to people. “Both of my grandfathers did not advance past the eighth grade. They went to work to help support their parents and siblings, putting family before themselves. I think this deeply shaped how I work and live.” Dan serves as mentor for at-risk youth with Proverbs Mentoring Basketball League in Chester, P.A., and is on the Business Advisory Council for West Chester University. He lives in Malvern, PA with his wife Danielle, and two children, Abby and Owen.